There are several reasons you may be wondering how to make coffee less bitter. Maybe you’re seeking the boost of energy or warmth a mug of hot, caffeinated coffee can provide but have never enjoyed the taste. Perhaps you’ve been slowly attempting to cut flavored creamers or sugar out of your diet and you’re finally down to fixing that morning cup of coffee (that was the last thing to go, right?). You might already be fine with drinking your coffee black but want to take it to the next level of perfection. Here are a few things that could be making your coffee bitter and how to address them. Does that mean coffee is just too finicky and you should give it up? Never! The tweaks you can make are mostly minor. Most of them won’t cost you much, if anything. In some cases, you may need to choose a different type of bean or roaster (or just a different roast, which also won’t cost you much, if anything, extra). You can’t go to the grocery store and pick up any coffee, any roast, with any roast date and expect it not to taste bitter. Other things can influence the bitterness of your coffee once it’s brewed, but starting with the best beans possible is a safe bet. You may find that by choosing fresher beans in a lighter roast, you eliminate the need to tweak yourbrewing methods. What’s best if you’re experiencing bitter coffee and want to make a change? 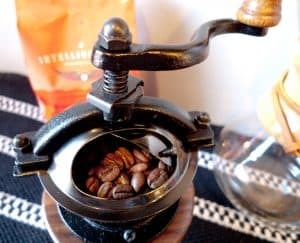 If you’re consistently getting bitter coffee regardless of the types of beans you buy or how fresh they are, your best brewing method will be one that gives you control. That means a traditional coffee maker or single-cup option may not be the best brewing method for you. The grind you need will depend on your brewing method. Some methods require a coarser ground than others for the optimal cup of coffee. If you’re having your beans ground at a shop, tell them how you intend to make your coffee so they can adjust appropriately. If you’re still experiencing bitter coffee and think it could still be the grind, ask them to make it a little coarser next time. If you’re grinding your own beans at home, experiment. Consult your grinder’s user manual if you’re unsure of how to adjust the grind size. You may find tips there for matching your brewing method to the grind that you hadn’t noticed before, too. Coffee beans that are too finely ground for the brewing method could create bitter coffee due to over-extraction. As a side note: If you find that your coffee tastes too weak or sour, your grounds could be too coarse. If your coffee tastes bitter no matter how fresh it is or what you do, it may come down to the coffee to water ratio. Too much coffee and too little water will make strong, often bitter, coffee. First thing in the morning, or in the middle of an afternoon when your energy is dragging, it’s easiest to just eyeball the amount of coffee or use a scoop. Those methods will get the coffee into your body faster, but they won’t necessarily result in the best-tasting cup. A kitchen scale is the most accurate way to measure your coffee. 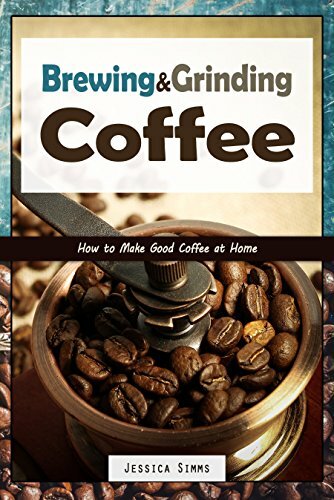 This way you’re measuring grams and the density of the coffee beans won’t come into play, skewing the flavor of your drink. Two beans that look the same on the outside could have very different densities. The only way to address this when you’re making coffee is to measure with a scale. The denser beans, when measurements are eyeballed or scooped straight into the filter, could result in a more bitter cup of coffee. Once you’re happy with the way your coffee tastes, always shoot for the same number of grams to ensure consistency from pot to pot, and of course, keep the amount of water the same. If you’re using a traditional coffee maker, you won’t have much choice in the matter of brewing time. However, if you’re using a French press, for example, you will. Don’t let the coffee brew in the press for longer than four minutes before you push the plunger down. If you leave the plunger up for a couple of extra minutes, that may seem like no big deal in the grand scheme of things, especially if your mornings are frantic and you like to multi-task by packing lunches or getting the kids ready while your coffee brews. However, it will continue to extract during that extra time and could result in bitter coffee you won’t enjoy drinking. Set a timer or enlist other people in your household to keep an eye on the clock and help you remember when it’s time to push the plunger down. If it’s still too bitter at four minutes, try three minutes, thirty seconds next time. Once you’ve found the perfect amount of time for the beans you buy, write it down and you’ll be able to time it perfectly each day. If you’re making water with coffee that’s too hot, that could lead to bitter coffee. Don’t bring the water in your kettle to a boil. Keep it just under a boil for the best results. Instead of 212 degrees Fahrenheit, shoot for 200 degrees. No way of knowing what the temperature of your water is? No problem, you don’t need to go out and buy a new kettle. Simply boil the water and wait about 30 seconds before you pour it. This will cool it down just enough to make coffee less bitter. Your filter can affect the taste of your coffee. If you’re using a permanent filter (metal or nylon), you could be letting more coffee oils and sediment into your cup than your palette prefers. Try switching to a paper (bleached, unbleached, or bamboo) or cloth filter. These will absorb some of those oils. 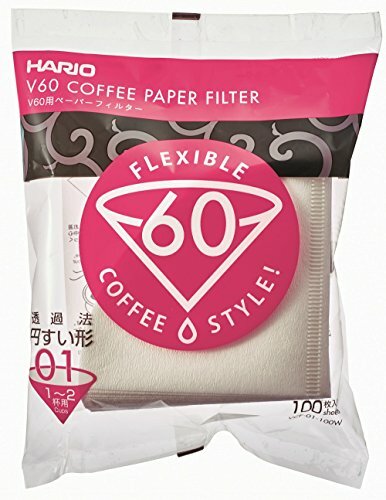 Overall, your coffee won’t be as bold or rich with a paper or cloth filter as compared to nylon and metal options, but you may find that you like the flavor more when it’s brewed with a paper or cloth filter. Boxes of filters are relatively inexpensive, so this experiment won’t cost a lot. Residue from old coffee can taint a brand new pot. Be sure to regularly clean your coffee maker, permanent filters, as well as the coffee pot itself to avoid brewing the perfect pot of coffee and never realizing it because some component of the coffee maker was dirty. Consult the user manual for your coffee maker to find the most effective, safest way to clean it. Be sure to rinse well so that soap, vinegar, or whatever you may use to clean your coffee pot won’t contaminate the flavor of the next pot. It’s not sugar…it’s salt! Add a pinch of salt to your coffee to allow sodium ions to block the bitterness from your tongue. You probably already have it on-hand in your kitchen, making this a truly easy fix for bitter coffee. Making these adjustments can change the flavor of your coffee, cutting some or most of the bitterness you’ve been experiencing in your cup of joe. You don’t need to add sugar, cream, or fancy flavored creamers to have a light, sweet (but not that sweet), flavorful cup of coffee. See which switch you feel most comfortable with first and which one’s the most likely culprit behind your bitter coffee, then go from there. Keep in mind, however, that a hint of bitterness can add to the overall flavor of the coffee and add balance. Don’t be dismayed if you’ve tried everything and your coffee is just too bitter. You may want to consider coffee from another region of the world, a different roaster, or new brand. If there’s some bitterness lingering in your coffee that does not bother you but you’re wondering what you’ve done wrong since it’s still there, the answer may be: nothing. If you’ve improved your cup enough to please your palette, enjoy!